Before you fill out your brackets here is something to keep in mind. How much can emotion factor into whether a team makes an incredible post-season run? 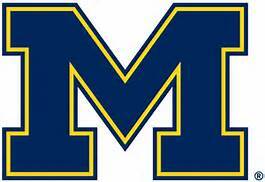 In last week's Big Ten Tournament, The Michigan Wolverines played this card all the way to a Conference Championship. The Wolverines airplane crashed Wednesday, but thankfully nobody was hurt and the team flew out the next day to Washington D.C. where they would face Illinois in their practice jerseys on Thursday, March 9. The determined No.8 Wolverines thrashed No.9 Illinois 75-55. Michigan arrived at the arena at about 10:35 a.m., and they were playing basketball less than two hours after that (tipoff was delayed about 20 minutes). They flew in on the Detroit Pistons Jet. On Friday, March 10, Michigan would play in its regular jerseys and needed OT to defeat No.1 Purdue 74-70 as the ride continued. On Saturday, March 11, the Wolverines next victim would be No.4 Minnesota as they outlasted the Golden Gophers in the semi-finals 84-77. Championship Sunday occurred on March 12 as No.2 Wisconsin stood in the way of a conference title. But Michigan showed a tremendous amount of resilience as the Wolverines blasted the Badgers 71-56 to earn an automatic bid to the NCAA Tournament and will now face the Oklahoma State Cowboys on Friday. It was refreshing to see the Verizon Center in Washington, D.C., rooting for Michigan throughout the tournament, as it appeared as U-M was playing at the Crisler Center in Ann Arbor. If the Big Ten was looking to expand the brand by adding Rutgers University and Maryland, the conference did exactly that in Washington D.C. opening up the East Coast Market. The Wolverines enter the NCAA Tournament with a 24-11 record. 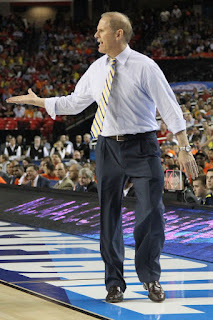 John Beilein is the school's all-time winningest coach with 213 wins passing Johnny Orr and guided the team to an NCAA Finals Appearance in 2012-13, as the team was 31-8. Beilein's all-time coaching record stands at 689-409 with a winning percentage of .628. Whether Beilein can work any magic in the NCAA Tournament remains to be seen. But how far can emotion take a team into the tournament? Lets go back to 1990 as the Wolverines had to deal with this first hand. On March 4, 1990, Loyola Marymount University Forward Hank Gathers died during a basketball game due to a heart attack. The Lions would represent the West Coast Conference (WCC) in the NCAA Tournament. Led by Gathers childhood friend Bo Kimble, the Lions would make an incredible run through the NCAA Tournament all the way to the Elite Eight. That year the Wolverines were the Defending National Champions and they encountered a hungry Lions squad. How hungry were the Lions? Loyola was coached by former Los Angeles Lakers boss Paul Westhead, who brought an explosive offense to college. Westhead ran a run-and-gun style which enabled LMU to average a Division I-record 122.4 points per game that season. On March 18, 1990 at the NCAA West Regional in Long Beach, CA., the Lions devoured Michigan 149-115. The Wolverines simply ran into a buzz saw. The Lions would eventually lose to eventual National Champion University of Nevada Las Vegas (UNLV) 131-101. But it would be an incredible run for Loyola Marymount University. Obviously, none of the current Wolverines were alive when all of this took place. But if these kids were to look at NCAA Basketball History, the Lions tournament run was extremely special. Fortunately for Michigan, the plane crash may have shaken these kids and their coaching staff up but, thankfully nobody was hurt. Yet, with their success in the Big Ten Tournament, this is a great emotional adrenaline builder for the entire program. On Saturday, March 18, this will be the 27th Anniversary of the Lions thrashing of the Wolverines. I'm sure U-M would like to keep their magical run going past this date. Michigan is considered a sleeper by many experts to win the NCAA Title. I hope these experts are indeed correct and they win the NCAA Title. It will be hard to find two football story lines more compelling than these. But as far as I'm concerned these are quite interesting in their own way. First, we'll start out with former Florida Gators QB Tim Tebow. From a character standpoint, Tebow is A-1 in My Book. This is a guy that you won't see in an arrest mugshot photo. If I had a daughter, I'd try to set her up with Tim. He's a true role model. When Tebow was trying out for the New England Patriots in 2013, Owner Robert Kraft was rooting for him to make the team. However, since the Patriots opted to keep two signal callers at the time, Tebow was the odd man out and was released to get the Patriots down to the Final 53 roster size. This was unfortunate because New England Offensive Coordinator Josh McDaniels selected him in the first round when he was Denver's head coach. This is a guy that won a playoff game with the Denver Broncos which is better than many of the other teams as well as prominent QB's have failed to accomplish. Unfortunately, that wouldn't be enough for Tebow to make it in the NFL. Now I'm not one to give any career advice, but when the Broncos gave Tebow an opportunity to decide whether he wanted to be traded to the New York Jets or Jacksonville Jaguars, he opted to play in the Big Apple under Rex Ryan hoping to be a Wildcat QB thinking he'd eventually become a starter. Tebow should have played for the Jaguars where he had a chance to play QB in his hometown. The Jaguars are a very patient franchise, but Tebow opted for the endorsement possibilities of New York rather than earning them later succeeding for a team that needed him and a city which would have loved him. He would have also increased the Jaguars attendance. To compound the problem, if Tebow really wanted to play QB badly, he could have developed his skills in the Canadian Football League (CFL). Two QB's that used their play North Of The Border and cashed in with the NFL include Warren Moon and Doug Flutie. Tebow's running ability would have been a good fit for the CFL. With more NFL teams looking for QB's, Tebow could have had more polished skills and experience under his belt. Some of the contracts that are being signed by these QB's during free agency have been totally ridiculous. In three NFL seasons Tebow played, he was 173-361 with a 47.9 Completion Percentage in 35 games. He amassed 2,422 yards, tossed 17 touchdowns, nine interceptions along with 989 rushing yards. He was sacked seven times to go along with six fumbles lost. Although his NFL Dreams began to diminish, Tebow, 29, has been able to stay in the spotlight and does work for ESPN on The SEC Network. This position does keep Tebow close to the game and he earns a really good living behind the microphone. Now as we fast forward to his current dreams, Tebow figures since he couldn't make it in football, he'll take his swings in baseball after being away from the diamond 12 years. 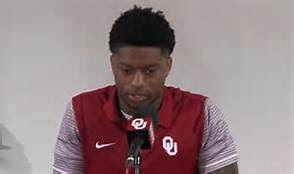 Thus far, it has been a difficult transition for the former Heisman Trophy Winner. During the Arizona Fall League, in 19 games, Tebow hit .194 with 20 strikeouts in 64 at bats. I missed The Tebow Circus by a day when he arrived for Spring Training on Monday, February 27. 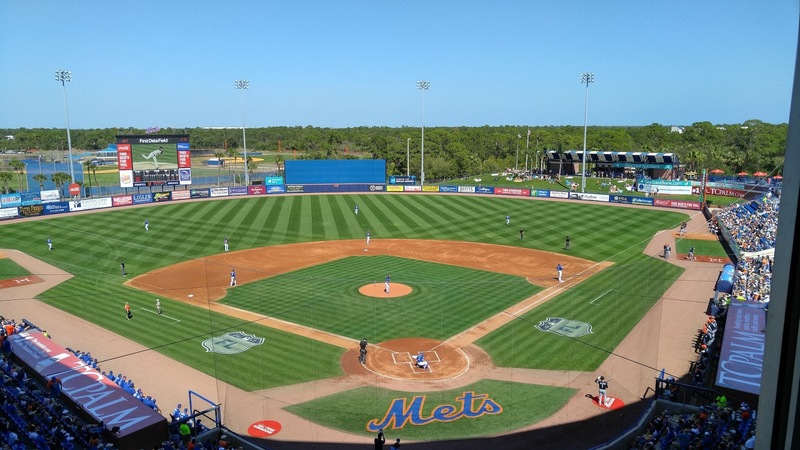 During Spring Training, the Mets lost 14 players, 11 from the Major League Squad due to the World Baseball Classic. 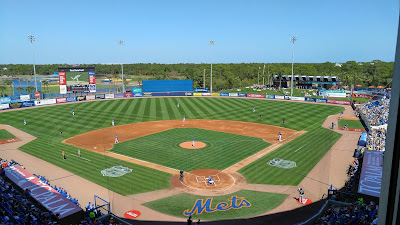 The Mets played this well as he played in three games and once again, Tebow was outclassed by going 1-10 with four strikeouts and a .100 batting average. His first hit on Monday came off Miami Marlins right-handed pitcher Kyle Lobstein. For New York, it was an opportunity to boost attendance for the three games and cash in on merchandise sales. There has been no shortage of standing ovations at Port. 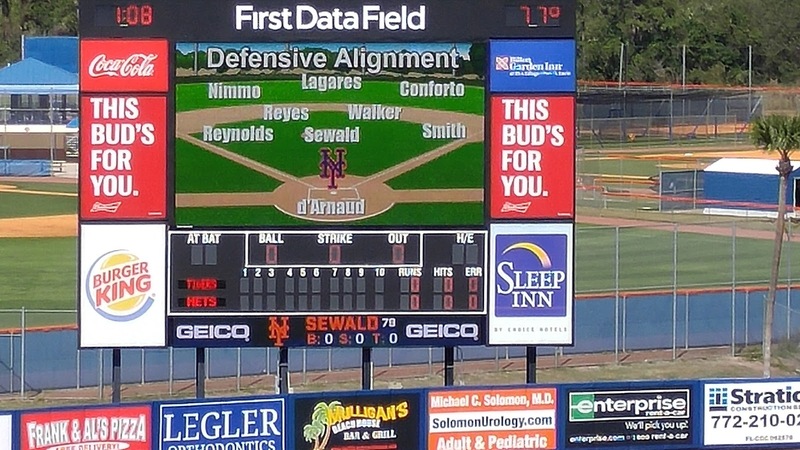 Saint Lucie's First Data Field. 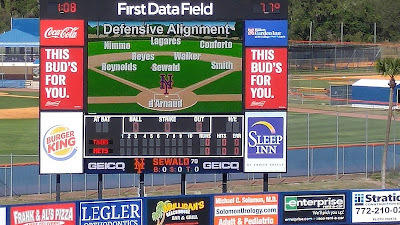 I will say that thanks to name recognition, Tebow got a better opportunity to even play in these games more so than any other prospect in the minor leagues. But now the question remains, can Tebow tough it out in the Minor Leagues with long bus rides and much lower paychecks? I do believe that Tebow will put fans in the stands wherever he plays. If he ever develops into a good left-handed hitter, this might boost his chances to progress and get another shot down the line to advance in Minor League Baseball. A team can never have enough good left-handed bats. There is an adage in baseball that if you're a good hitter, you'll get noticed and promoted. I've seen it happen many times in my 35 plus years covering baseball. I don't see Tebow having money issues since he has other opportunities outside of baseball. I'll be curious to see how he handles the long bus rides. His Minor League Salary will amount to what a Summer Camp Counselor will earn. If he doesn't make it in baseball and he's even said that hitting a baseball is the hardest thing he's ever done, at least he'll know that Michael Jordan never made it to the Major Leagues. There is nothing wrong with being in the same sentence as Jordan. I do wish Tebow well in attempting his endeavor and I hope he proves me wrong when I predict, he won't play in the Major Leagues. He should have paid his dues and stayed with football that made him lots of money and famous. From Tim Tebow to Vince Young, the former standout QB at Texas. Young was drafted in 2006 in the first round, third overall by the Tennessee Titans. With Texas in 2005, Young won a BCS National Championship and a Rose Bowl MVP. In the NFL, Young would play six seasons with the Titans and the Philadelphia Eagles and played in two Pro Bowls. He amassed 8,964 passing yards with 46 touchdowns and 51 interceptions. Young rushed for 1,459 yards and 12 touchdowns. Young would get tryouts from the Buffalo Bills (2012) Green Bay Packers (2013) and Cleveland Browns (2014) but he was unable to make those squads. He retired and began working with Texas, does TV Work on the Longhorn Network, owns a Steakhouse along with a Real Estate Brokerage. In early February, Young was added to the negotiation list of the CFL's Saskatchewan Roughriders. The Roughriders Head Coach/General Manager went out of his way to get Young's phone number from Mark Speer, who coached against Young when the latter was a star in the Houston High School Ranks. There is no better opportunity than having a coach who believes in you. Young's talents should be well suited for the longer and wider field of the CFL where midfield is the 55-yard line. Once Young made up his mind to make a comeback, his agent Leigh Steinberg moved swiftly to get his client signed. Young signed a one-year contract (with a club option for a second year). The 33-year old Young signed a contract on March 9, 2017 and a Press Conference was held to introduce Young as the team's new signal caller. Steinberg and Young's plan is that they're looking to make Vince as good of a player as possible in the CFL. The plan is to win Grey Cups. Just an FYI, former NFL Running Back and Texas Longhorn Ricky Williams played one season for the Toronto Argonauts. So when you think about whether Tebow makes it with the Mets or whether Young plays well in the CFL, one thing remains consistent. Both players are hard workers and haven't lost their competitiveness to compete and see where their sports careers take them. Since they're "Young Enough" to turn them around or let's put it this way, Young and Tebow have Unfinished Business to take care of. I have a gut feeling that Young could make it to the NFL in a couple years if he has a couple productive years North Of The Border. As for Tebow, it's anybody's guess as to what he'll try next.